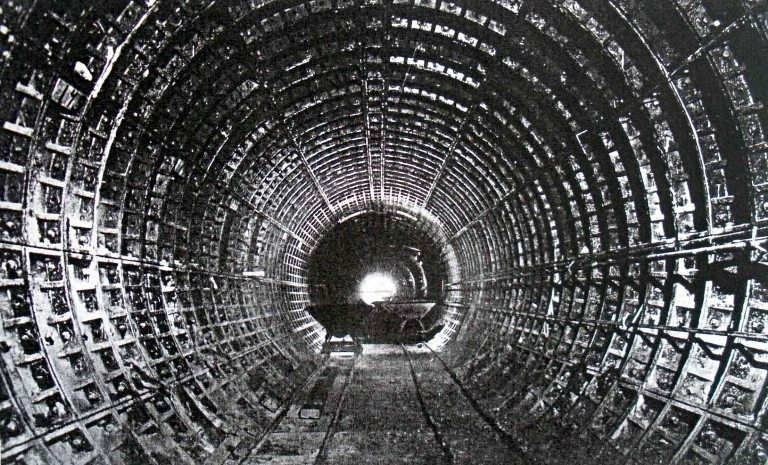 From research at Richmond Local Studies Department at Richmond Library the following was revealed: Another tunnel was built by the Metropolitan Water Board which passes under the Thames at Richmond. 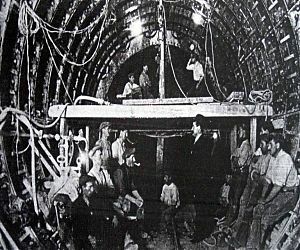 The image on the right shows tunnel workers in Metropolitan Water Board tunnel adjacent to Richmond Bridge. One shaft down to the tunnel is situated behind the White Cross Inn and the other shaft is on the other side of the river next to Richmond Bridge Mansions in Willoughby Road. 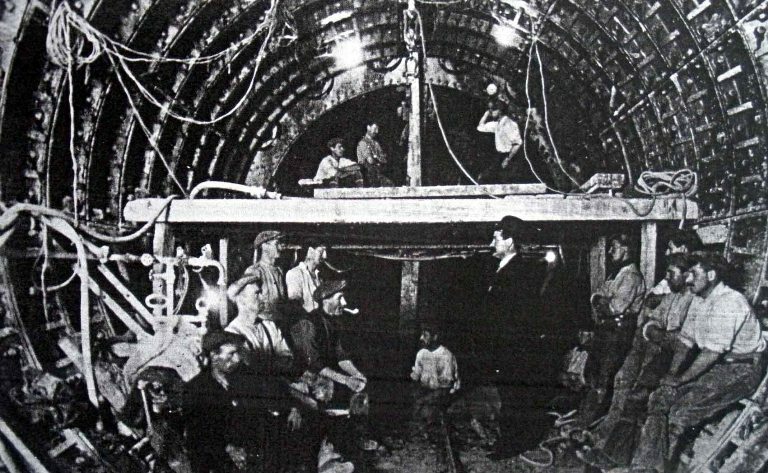 The image below shows the Metropolitan Water Board tunnel adjacent to Richmond Bridge. 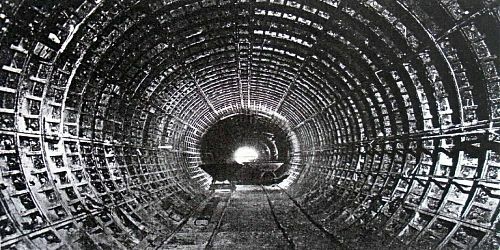 This tunnel was built as a water main and from eyeballing photographs taken of its construction it appears to be approximately 5.4 metres in diameter.